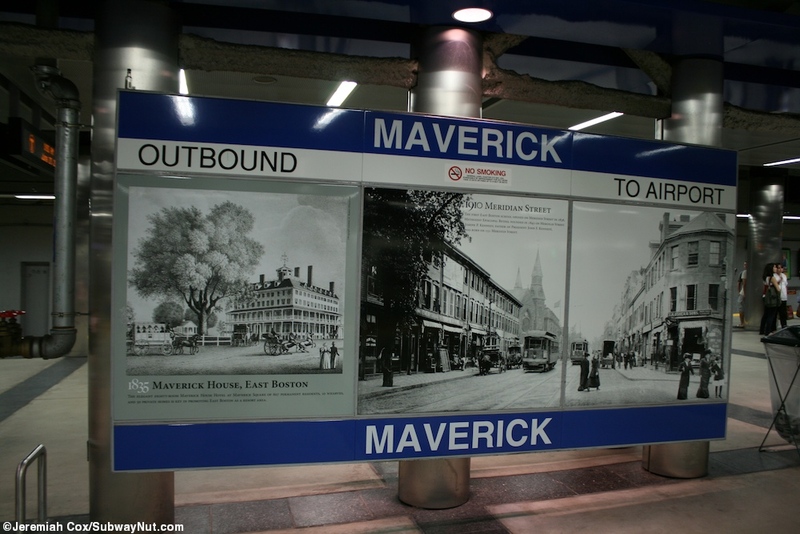 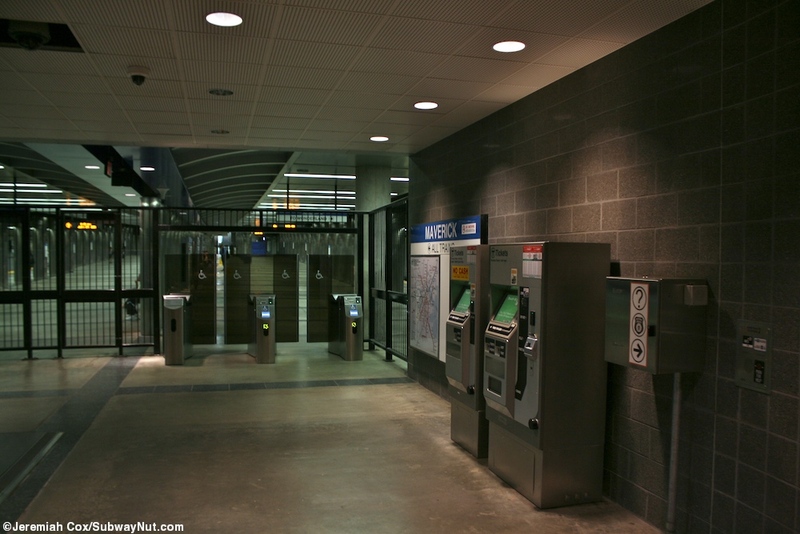 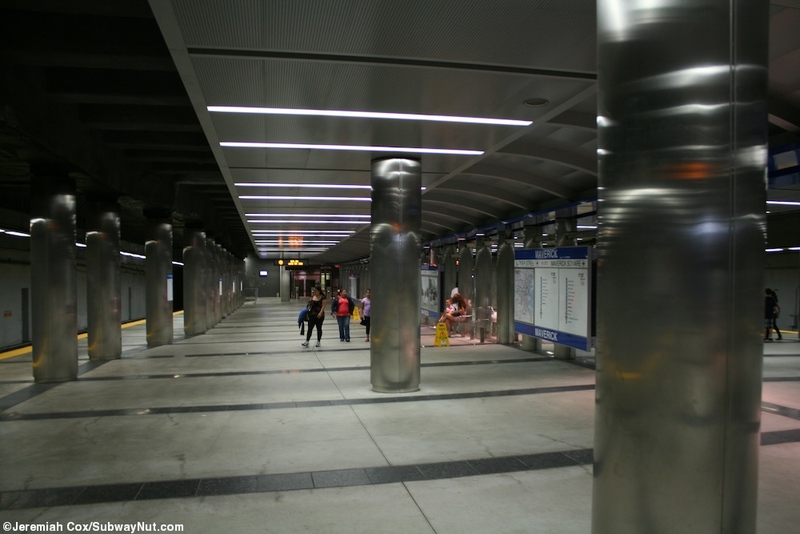 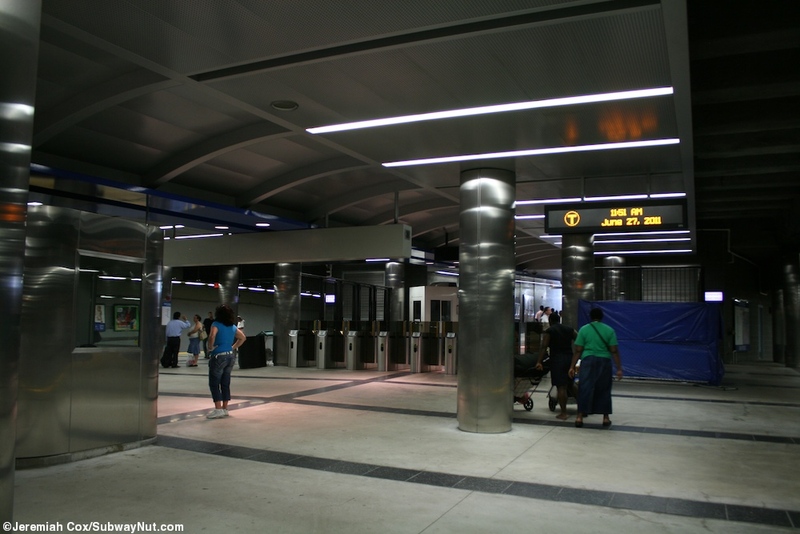 Maverick Station is the first underground station on the Blue Lines trip to downtown. 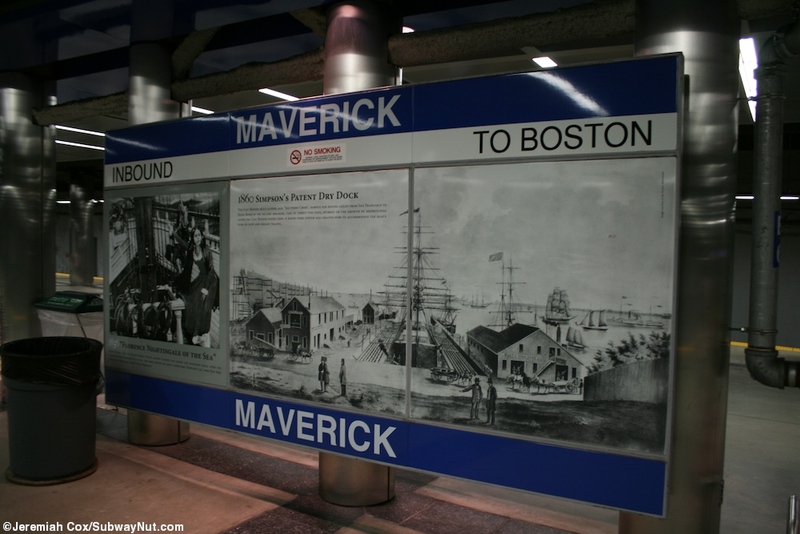 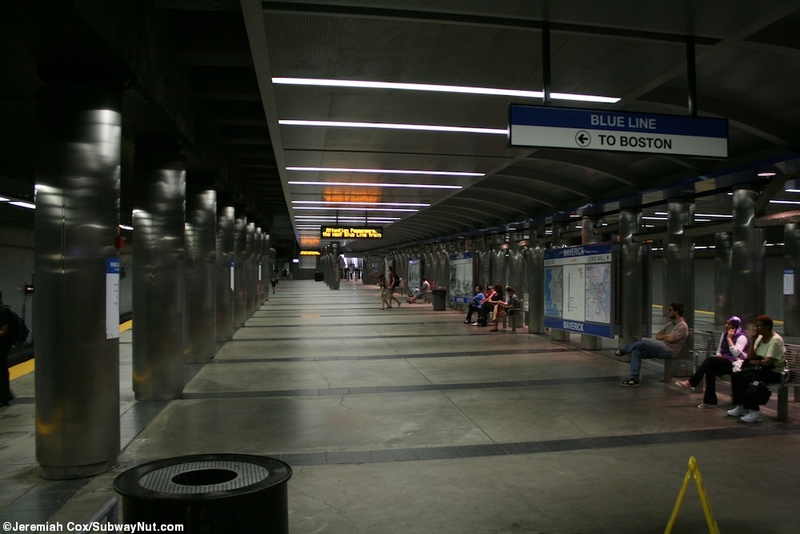 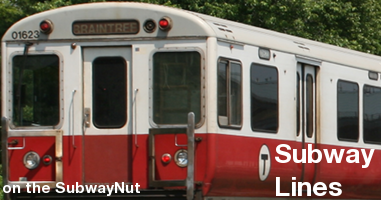 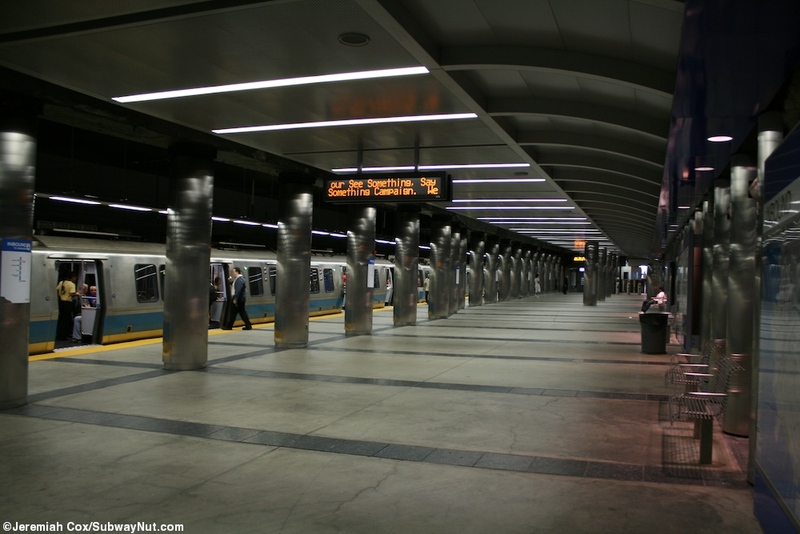 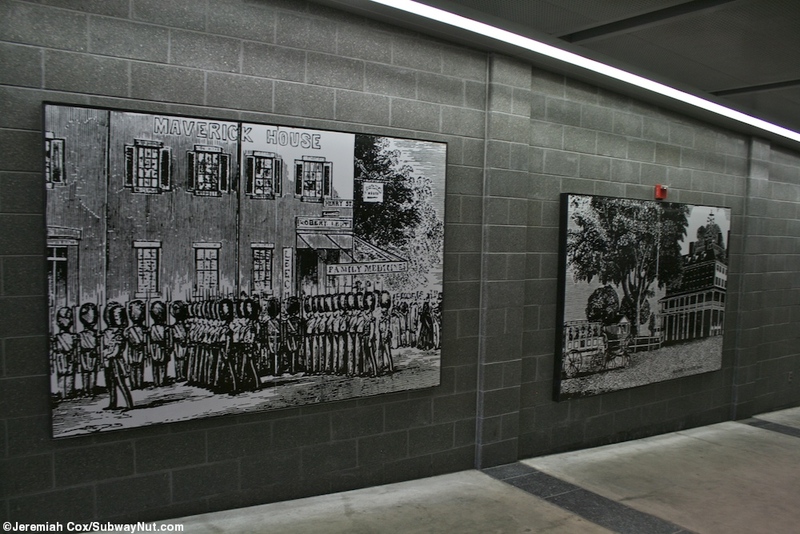 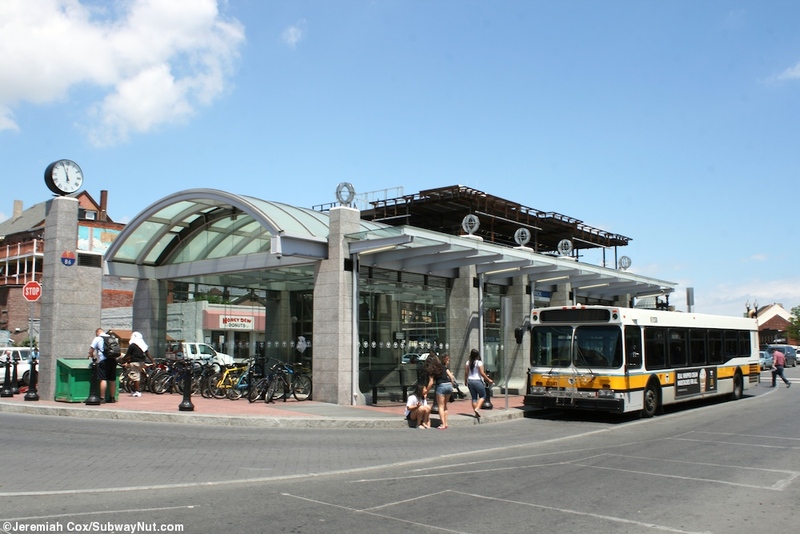 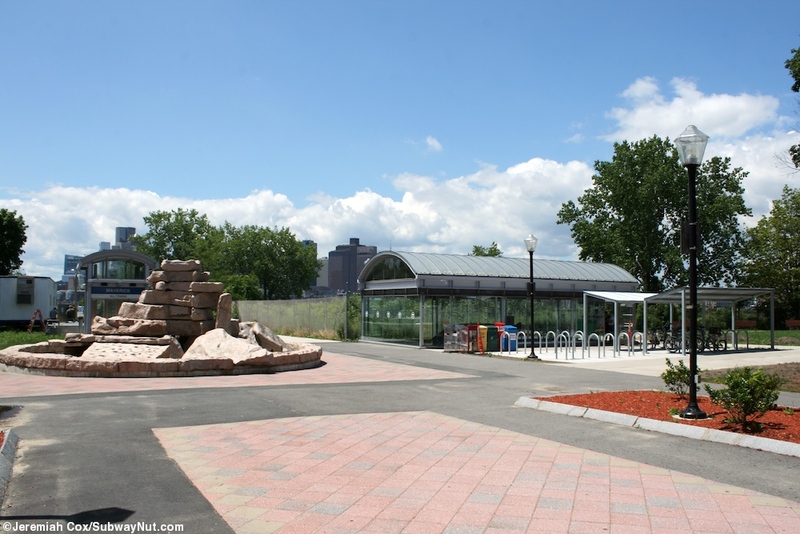 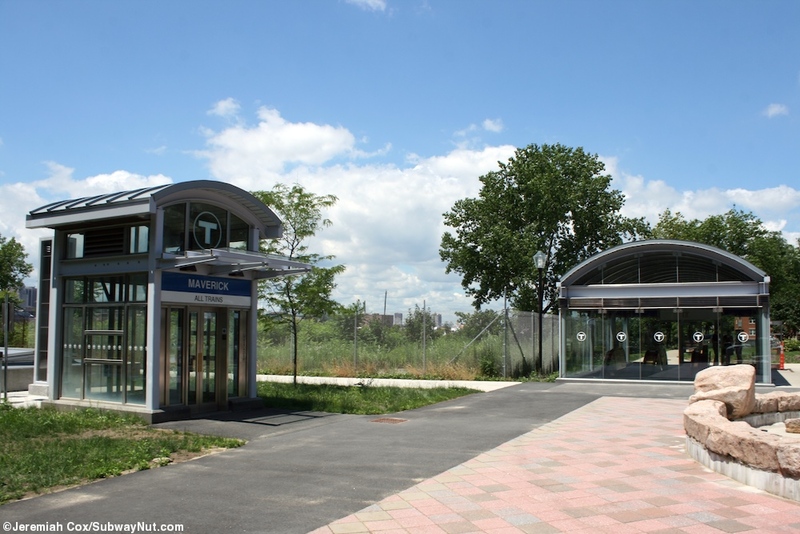 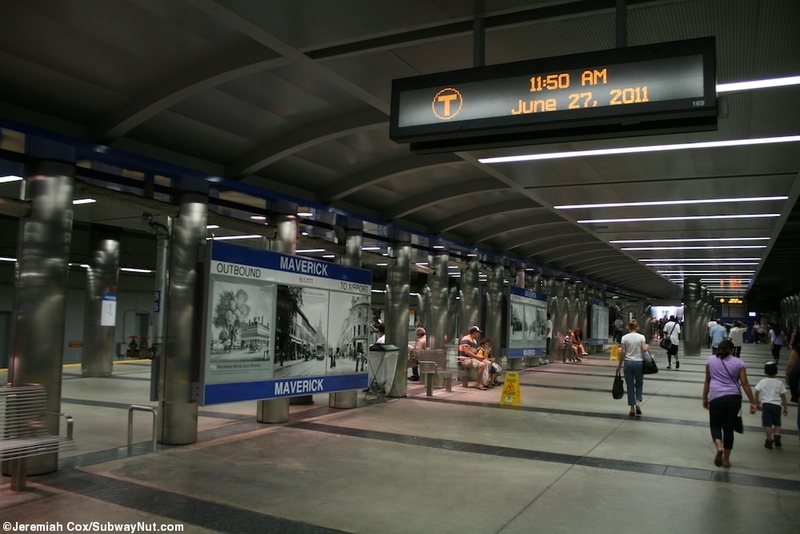 It is located in East Boston right alongside the waterfront of Boston Harbor that the line goes under beyond the station. 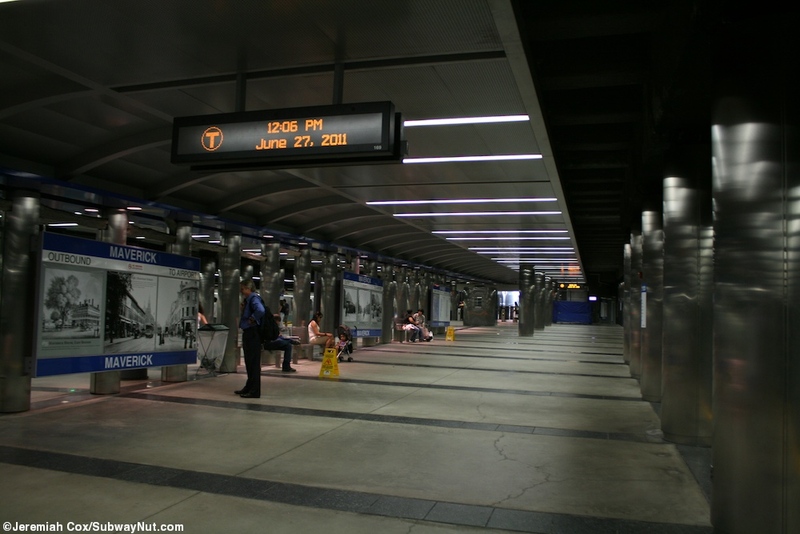 The stop has an extremely wide island platform due to the former existence of looping streetcars there. 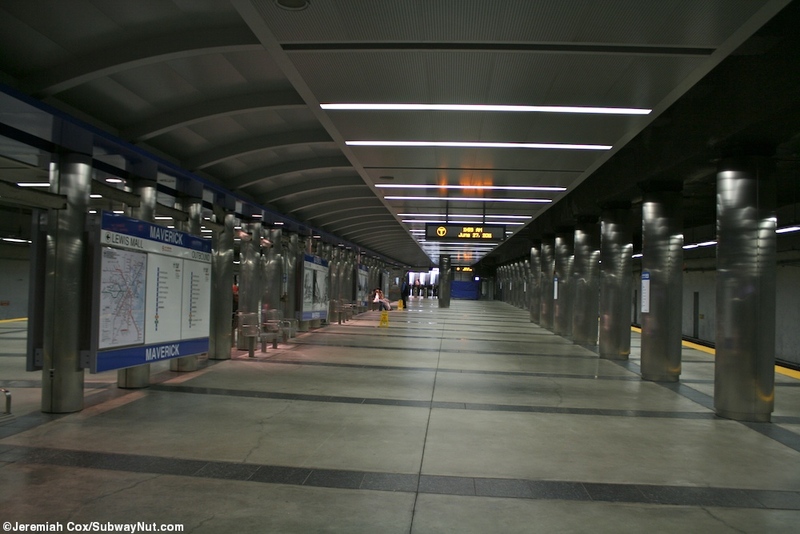 This island platform has two exits at either end with the faregates directly onto the platform. 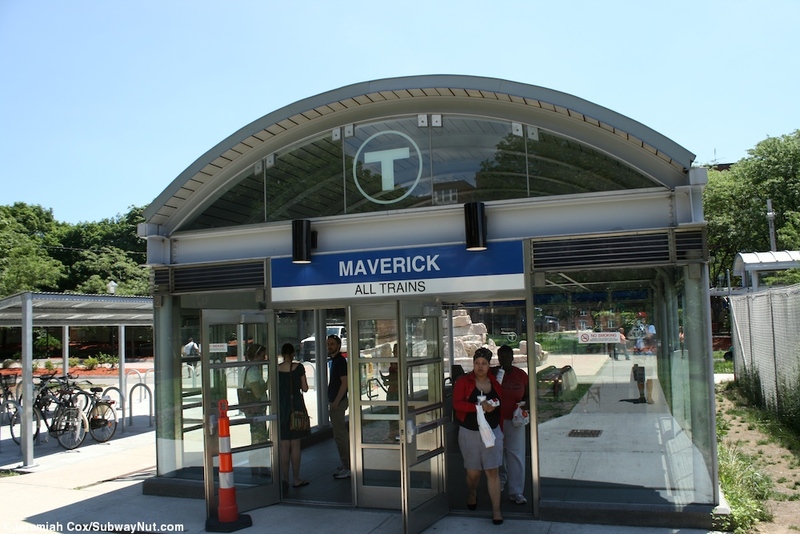 At the outbound-end of the platform escalators and an elevator leads up to a street level bus loop with a glass enclosure for the entrance at Maverick Square. 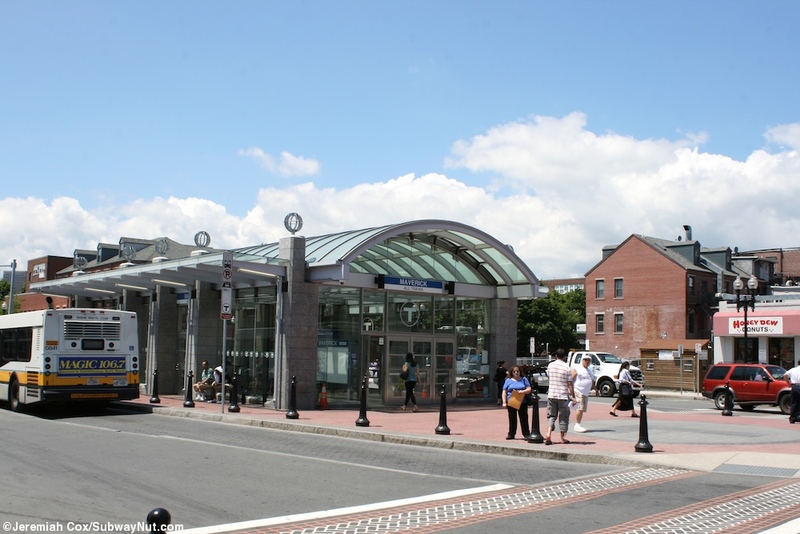 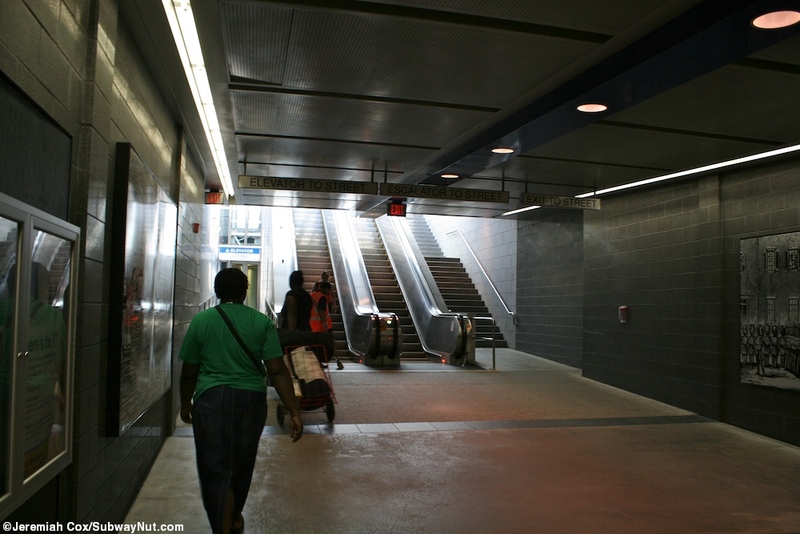 There is a secondary entrance at the other end of the station just a block from the harbor where another elevator and escalators lead to the middle Lewis Mall, some pedestrian streets through plazas. 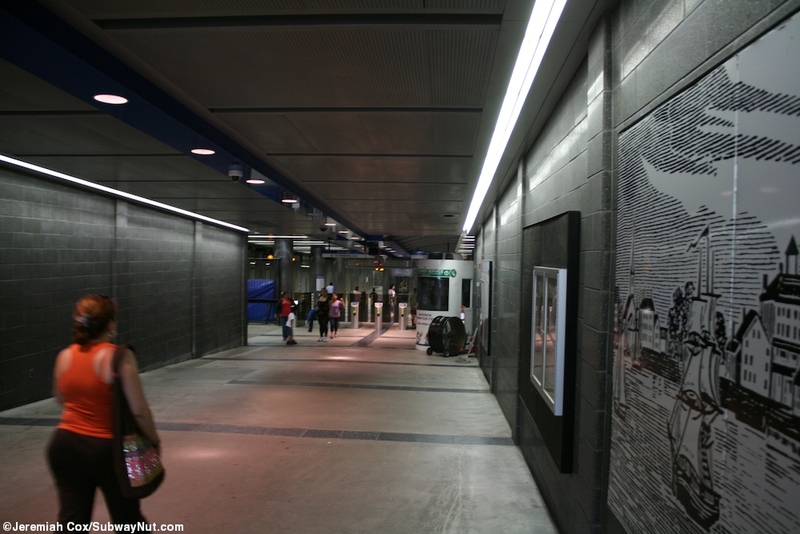 Photos taken on 27 June, 2011. 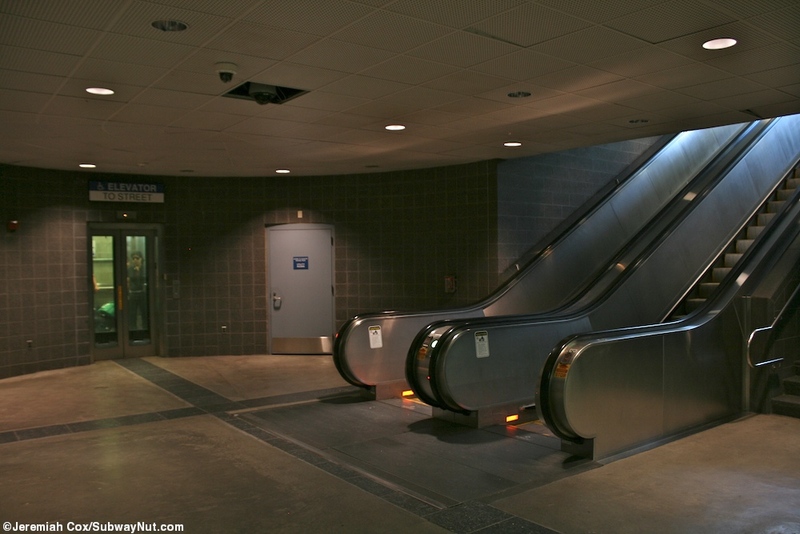 Escalators or stairs to Lewis Plaza?